Home to one of the world’s oldest and proudest cultures, China is a must-see for the true adventurer. China is so huge it borders 14 nations, and spreads across approximately 9.5 million square kilometers. And yet, for a nation so large, China has maintained a rich culture with traditions that have remained relatively unchanged throughout its 4,000 year history. It’s home to humble and hard working people with a wicked love of food, partying and celebrating in general. From the crackling fireworks of Chinese New Year to the cackling madness of the local farmers markets, the Chinese are always busy, always cheerful, and always moving. China is loud and brash, full of unfamiliar smells and sights. With its futuristic neon skyline, from a distance Shanghai feels like a glimpse of the world hundreds of years from now. Step inside China’s busiest metropolis, however, and you will find a centre of throwback glamour filled with enchanting architecture and hints of a bygone era. From its days as a treaty port, Shanghai has opened its doors to the floods of Germans, Italians, Americans, French and British churned through, trading silks, spices, jewelry and artworks. Never is the juxtaposition of old and new in Shanghai more evident than when you’re strolling ‘the Bund’ along the Huangpu River - on one side, you have the awe-inspiring buildings of Pudon - on the other, you have the quaint French-style buildings and cobbled streets of Puxi. The Puxi district is the cultural and entertainment epicentre of Shanghai, and it’s home to many of the remnants of its traditional past. After you’ve walked along ‘the Bund’, refuel with a delicious bowl of ‘xiaolongbao’ soup dumplings from a street vendor, and visit the ancient City of God Temple and Jade Buddha Temple. And don’t miss the French Concession with its tree-lined avenues and European architecture, making sure to stop at some gorgeous high-end bars and boutiques housed within those stone walls. On the modern side, the Pudong District boasts sky-high attractions such as the Oriental Pearl Tower and the Jin Mao Tower-- from which you can get a birds eye view from the Skywalk 100, if you dare. For those who want the magnificent view, but don’t fancy hanging off the side of a building, visit Cloud Nine bar at the top of the Hyatt building and take in the sights. Guangzhou moves to the beat of its own drum. Perched high in the mountainous region of southern China, this ancient city - founded in 214 BC - harbours some of the most intriguing historical artefacts in the country. Walk through Yuexiu Park for a variety of centuries-old monuments from the Ming Dynasty, or visit the 2,000 year old Mausoleum of the Nányuè King. One beautiful and strange site to visit is Shāmiàn Island, a bizarre oasis of French Provincial architecture acquired after the first Opium Wars. A tinkling world of its own, it is a striking reminder of Guangzhou’s colonial period and acts as a living, moving, slice of Chinese history. Everything in China’s capital Beijing is amplified: bursts of bright colours litter the streets in lanterns and posters, by night the zing of the red lanterns is upstaged only by flashing neon lights. The city is enormous, with suburb after suburb of shining metropolis, heaving marketplaces and winding Hutong alleyways. The food is astounding and the nightlife pumping, their tourism is a slick operation and you are moved through the city like a machine - drifting down the river at the night markets like Wangfujing Snack Street, ogling at a Kung Fu demonstration at the Red Theatre or chowing down on some traditional Peking roast duck at one of the many 5-star restaurants like Cai Yi Xuan. At the northernmost tip of the island of Taiwan is Taipei: a city that has stitched together Chinese, Western and Japanese influences to create something truly unique. It feels distinctly urban, with a booming coffee culture and a youth obsessed by fashion and all things cool. Taipei provides great shopping and dining experiences. And yet, it can’t shake its wonderful, exotic, Asian heritage. The food markets, like Shilin Night Market are an accost on the senses, with mysterious shellfish squirming next to sizzling kebabs of delicious smelling roasted meats. Taipei is a foodie’s paradise, with its famous beef noodle soup unmatched anywhere in the world. Distinctly more modern and intrinsically linked with the Western world, it’s often easy to forget Hong Kong is actually part of China. Happily clashing two cultures; Hong Kong’s history is as a British-colonised nation - evident today in the luxury hotels, turn of the century English architecture, and the vintage two-story trams. Looking past the hints of its English past, the true Hong Kong is a wild ride of exotic Chinese culture. The tropical humidity, busy marketplaces, quirky and colourful merchandise and general madness is the undercurrent of Hong Kong, with top notch seafood and ice-cold drinks to be found in the traditional marketplaces like Mong Kok Markets where it’s all about the plastic tablecloth. Hong Kong is at its best at night, after you’ve had a memorable walking dinner at the market, catch the Star Ferry for jaw dropping views of skyscrapers flanked by impenetrable jungle. If boats aren’t your thing, go high instead by catching a lift on the 125 year-old Peak Tram to reach ‘The Peak’ - the highest point on the whole island. Situated in between Yangshuo and Longsheng, Guilin is just one hour from Hong Kong - its tropical climate (read: humidity!) and remnants of stunning English architecture a directive to its location. Spend your day admiring the quaint bridges of the luminescent Rong Lake, explore the caves at Reed Flute, or take a cycling tour around the rich countryside. The landscapes are the star of the region, with the early morning fog rising off the river to reveal the traditional fishermen in their long, wooden boats and hanfu (the round conical paddy hats) silhouetted against the water. An ancient paradise, Guilin’s strange limestone mountains rise tall and thin, covered thickly with green foliage, waterfalls and caves. Guilin is a must see when visiting China. The most famous Chinese festival of all, Chinese New Year, is the party to end all parties. Celebrated not just around the country of China, but also around the world, Chinese New Year depending on the lunar calendar is celebrated between January and February each year. Regardless of the freezing cold weather at this time of year in China, celebrations are still held on the streets, with fireworks, parades, and markets marking the dates. Whilst all cities have something different to offer, Beijing said to have the biggest and the best celebrations, with a week-long festival of parties, worship ceremonies and, of course, massive traditional Chinese feasts. The most famous Chinese landmark of all is The Great Wall of China. With a variety of bizarre myths swirling around, (including that you can see it from space and that it was constructed with the bones of those building it!) The Great Wall needs no such hype; the colossal structure is truly an awe inspiring sight. Mind-bogglingly huge, the building of the 8,850km long wall begun as early as the 7th century. Stretching across the ancient northern borders of China to prevent invasion, you can still take your own trek along the wall, which spans from Shanhaiguan in the east, to Lop Lake in the west. A true wonder of the ancient world, The Great Wall of China also acts as a serene viewing platform for some of the most lush and exotic wilderness that China has to offer. In 1974, rural farmers in Xi’an made an astounding discovery: life sized, terracotta replicas of ancient soldiers. But what they found was the tip of the iceberg, for as excavations unfolded, over 8,000 terracotta soldiers, 130 bronze chariots, 520 terracotta horses and 150 bronze cavalry horses were found. Eventually discovered to be commissioned by the Emperor Qin (or ‘Chin’ for China is named after) in the 3rd century BC to accompany him into the afterlife. These days, you can walk around the immaculately presented statues at the Qin Shi Huang Mausoleum Site Park opened in 2011. A national icon, the beautiful Chinese Giant Pandas are some of the last remaining in the world. You can visit the cheeky bears close up at the Chengdu Bifengxia Giant Panda Base in Green Peak Valley, which is around 150 km from Chengdu city. 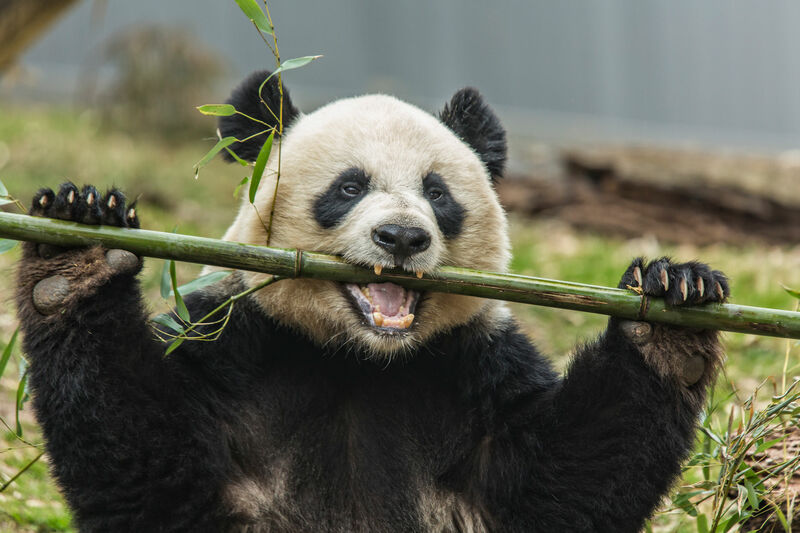 Established in 2003, the base is home to over 80 pandas, who are raised in wilderness conditions, with many rescued from a 2008 earthquake in China. At the reserve, you can see the pandas splashing around in waterfalls, feeding with their families and swinging around on their play sets. It also offers a volunteer program for people to help with feeding and caring for the pandas, should you be planning a longer visit to the area! China is so large that it could be experiencing all seasons at any moment, somewhere across the country. So, to be best prepared for your journey, research your destinations and timing before you leave. A general rule of thumb, the winter freeze hits hardest in November and December, where in the far north, temperatures can drop to 30 degrees below zero. To the south, you will experience much more humid and warm weather, with the spring season (March and May) offering the most pleasant weather to get out and explore. All travellers to China should ensure routine vaccinations are up to date at least four weeks prior to travel. These include tetanus and diphtheria, whooping cough, polio, measles, mumps and rubella and chickenpox. In addition, consult your doctor about vaccinations for hepatitis A and B, typhoid, rabies, Japanese encephalitis and tick-borne encephalitis, depending on the type and length of your travel. With a medium malaria risk and dengue fever occurring in China, discuss your travel plans with a doctor to ensure the most suitable precautions are taken throughout your trip. It is recommended to speak with your doctor when planning your trip to find out which vaccinations you may need. Keep in mind that some vaccinations require more than one dose, so it is best to chat to your doctor well in advance of travel. The tap water generally isn’t safe to drink in China, so stick to bottled water on your trip. It’s also advisable to avoid raw fruits and vegetables. Instead, opt for fruits that require peeling and fully cooked foods. China practices strict military rule, so be sure to educate yourself on the customary practices before you visit - visit Smart Traveller to find out more. It is also worth noting that visitors to China require a visa, a process that can sometimes be quite lengthy and complicated. In case of an emergency in China, phone 110 for police, 120 for ambulance and 119 for fire. The currency in China is the Yuan Renminbi, divided into 10 jiao, which is again divided into 10 fen. RMB notes are available in denominations of ¥1, ¥2, ¥5, ¥10, ¥20, ¥50 and ¥100. Coins come in denominations of ¥1, 5 jiao, 1 jiao and 5 fen. Once upon a time, China was fantastically cheap to visit - but these days, the major cities are equally (if not more) expensive than cities like New York. Shanghai, Macau, Beijing and Hong Kong are among the most expensive, with the Southern and inner-west cities like Guangzhou being much cheaper. The good news, however, is that China is still a nation floated by wonderful marketplaces, where food and other purchases can be made really cheaply. Shop where the locals shop, and avoid tourist-crowded restaurants and areas to save money. Large cities will all accept credit card payment and have both ATMs and Money Exchange offices available; however always carry cash, just in case. * Important things you should know: Limits, sub-limits, exclusions and conditions apply. This is general advice only. Medibank Private Limited, ABN 47 080 890 259, an Authorised Representative, AR 286089, of Travel Insurance Partners Pty Limited, ABN 73 144 049 230 AFSL 360138, issues the insurance on behalf of the insurer. The insurer is Zurich Australian Insurance Limited ABN 13 000 296 640, AFSL 232507. Please consider your own needs and the Combined FSG/PDS available from Medibank stores or medibank.com.au/travel to decide if this product is right for you.